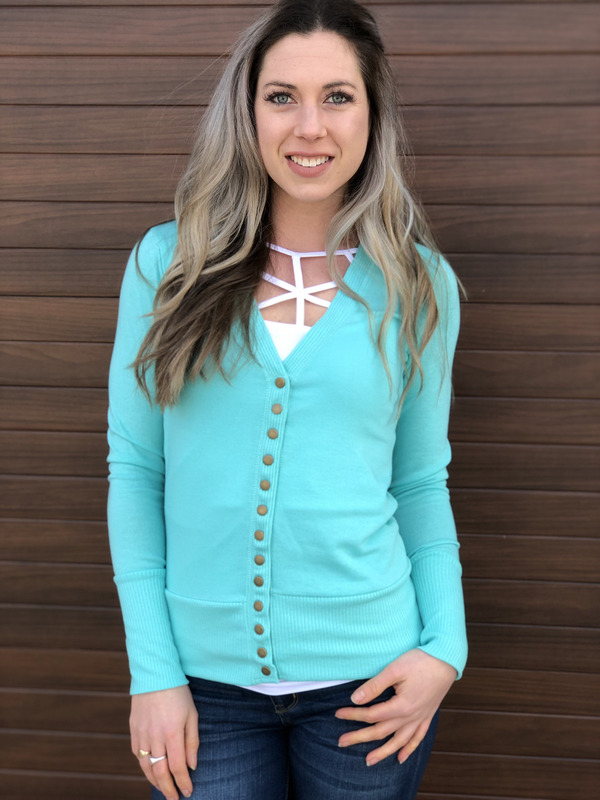 A cute button snap cardigan for an effortless layered look. Sizes small thru X large. Fitted style so size up if you want a looser fit.